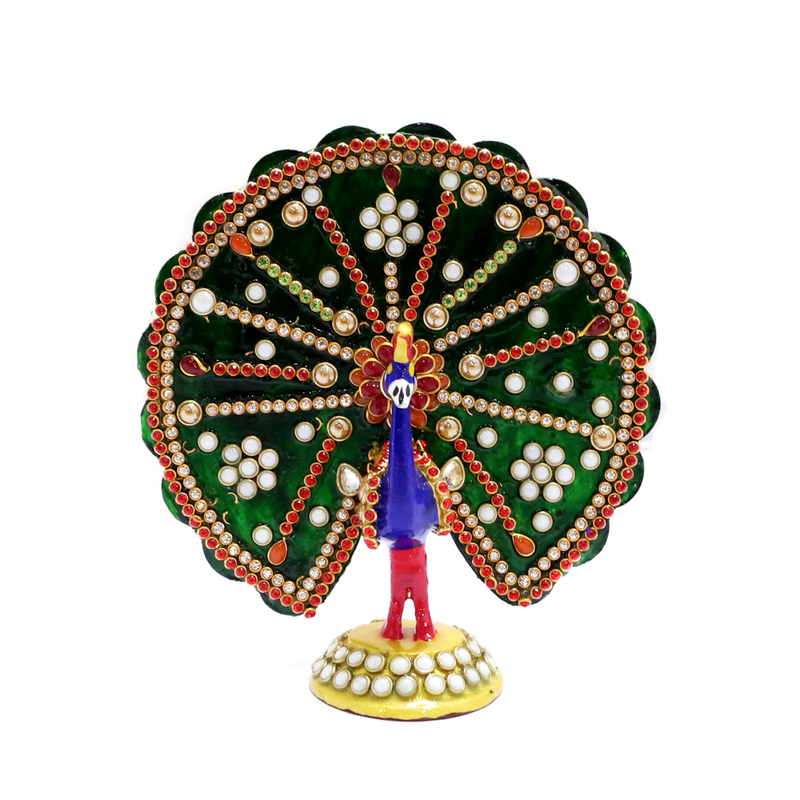 Adorned with pride, this peacock bird showpiece is intricately detailed with meena and Stone work extensively. 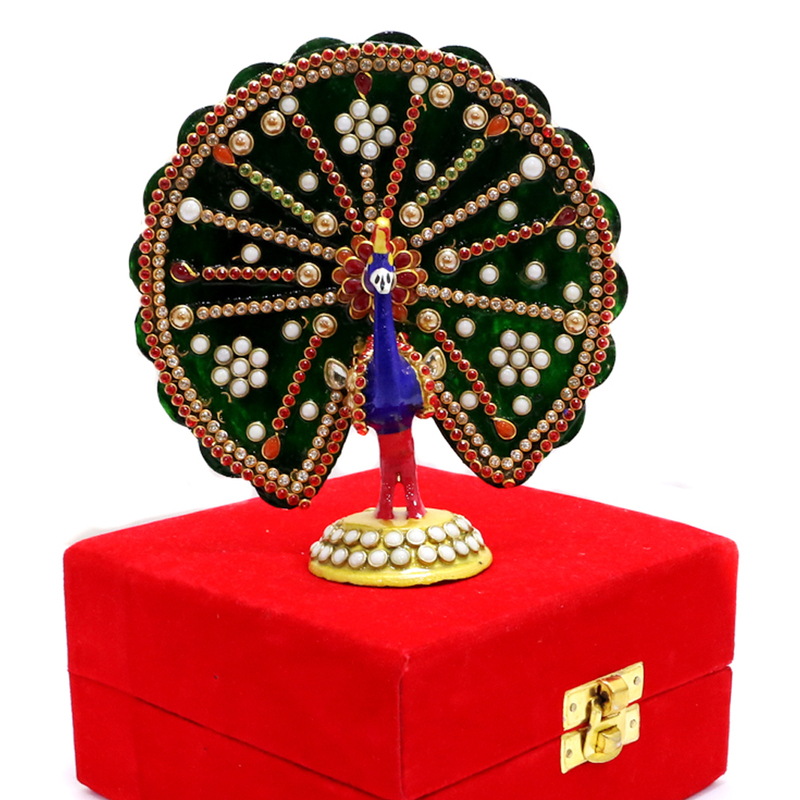 The peacock is stabilised on a small white stand Read More..to give it support. 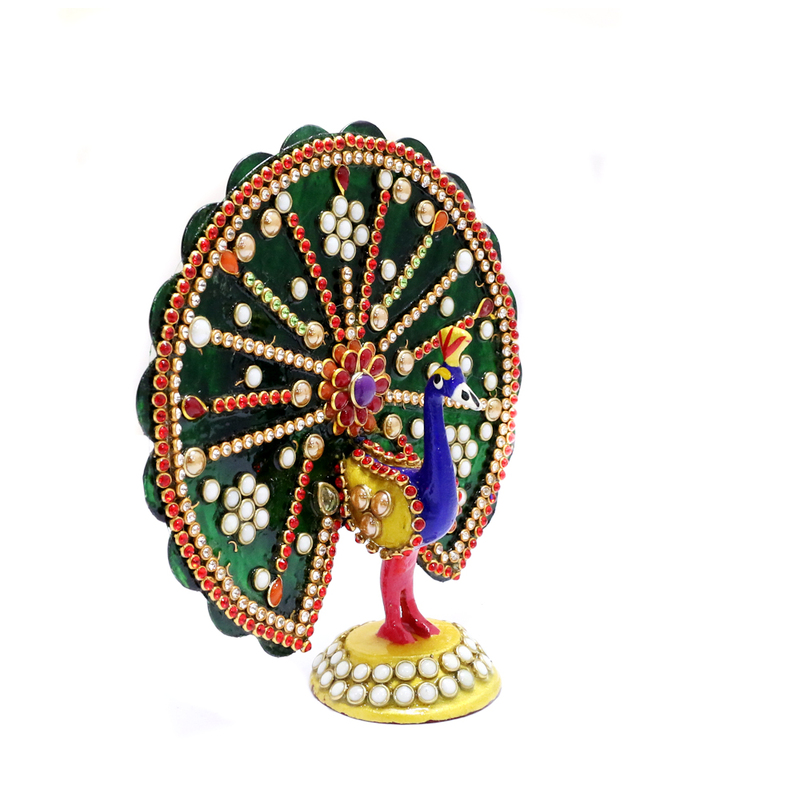 The bird statue is made of metal giving it a sturdy effect. Show Less..